413, Blue Bay, Business Bay. Why Ray White? 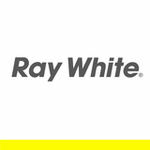 Over the succeeding 112 years, Ray White has become a household name, synonymous with the property and real estate industry, home loans and mortgages with an annual turnover in excess of 30 billion Australian $. From humble beginnings with one real estate office in Queensland Australia in 1902, Ray White has expanded its expertise now to a network of 1300 offices all around the world that covers property management, Loan Market, home finance, Auction services, investment arms, Commercial and residential real estate. Ray White Dubai, the latest baby born of the Ray white Family, has imported the experience, heritage and know-how gained with the years to best serve the UAE and the Dubai market with a customer focused, ethical and professional team that is well placed to offer our clienteles a value-added service for any real estate and property services Seeking to be proud of every transaction. 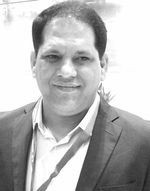 This has propelled this family owned and led the group to market leadership in the combined International markets.